In Japan, robots are increasingly replacing human staff as the country struggles with a rapidly aging population. Robots can be seen working in hotels, insurance offices, and even nurseries. Of course, Japan isn’t the only nation experimenting with robotics technology. As we’ve said before, over 1.4 million new industrial robots will be working in factories globally by 2019. If your business relies on delivering high quality and reliable products, any defect could spell huge losses. The problem with manual inspections is that it’s prone to human errors. For example, take touchscreen devices and control panels. Sure, you can assign one or two or a team of people to do your touchscreen testing for you. But that would mean more labor costs and losses in production time. It’s not going to be the case with a high-speed touch screen testing robot such as the SR-SCARA-Pro. If you want accuracy and efficiency, you can’t go wrong with a robot that can go up to 800 touches per minute. Plus, it also comes with easy to learn program options. That means you can easily incorporate it in your existing testing frameworks. It’s easy to think that employing the best production line operators or quality technicians can help you cut costs. After all, it’s hard to get away from the myth that robots are too expensive. But you should also think about how outdated, manual inspection processes can cost you in the long run. 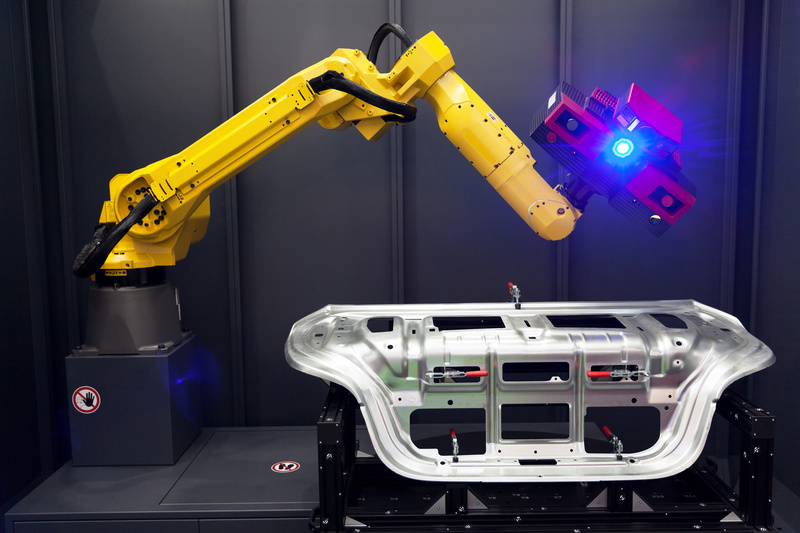 Consider how robots can work without breaks or how automated inspection systems will eventually pay for themselves with the savings they make. Plus, if we haven’t said it enough, human workers equals human errors. In some fields, mistakes may be forgivable. With large production runs, however, mistakes almost always mean a loss in the form of scrapped materials, breaking service level agreements, and additional spending for problem resolution and support. There’s this concept called early adoption where an individual or business invest in a new product or technology ahead of the others. A company may do this because it believes a certain technology could improve efficiency or reduce cost. Increased market penetration is also a reason why businesses consider being an early adopter despite paying more than later adopters. You could say going for automated inspection is a form of early adoption. You’re investing on an advanced quality inspection system that will set your company apart from your competitors. Going automated means you want to increase your production output. To do that you have to have a system in place that can detect errors early in the production process. The greater your yield of error-free products, the less it will cost you in warranty costs, not to mention customers’ increased trust in your products. Feel free to browse our blog about the latest in robotics technology. You may also get in touch with us if you have specific project needs or if you want to know more about our robotics products and services.